The importance of house prices to households, real estate developers, banks and policy-makers cannot be overemphasised. House price changes affect consumer spending and business investment patterns, which in turn affect the wider macro economy and the entire business cycle. Measuring and understanding house prices is therefore essential to a functioning economy, but researchers continue to disagree on the best methodological approach for constructing real estate indices. 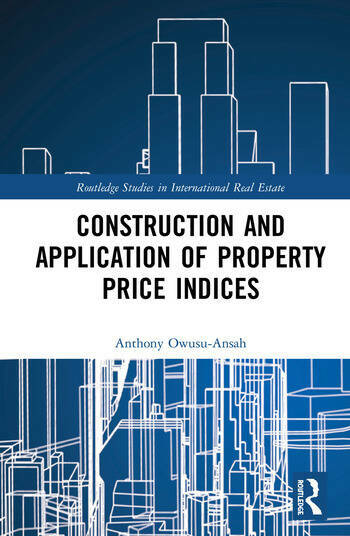 This book argues the need for more accurate house price indices, outlines the various methods used to construct indices and discusses the existing house price indices around the globe. It shows how the raw data of property transactions can be prepared for the purpose of constructing indices, discusses various applications of property price indices and empirically demonstrates how the index numbers can be used to model the supply of new houses and to estimate the price elasticity of supply. Essential reading for economists, real estate professionals and researchers, and policy-makers. Anthony Owusu-Ansah (PhD) is a Senior Lecturer and Coordinator of Graduate Programmes at the Business School of the Ghana Institute of Management and Public Administration (GIMPA), Accra. He has published extensively in the areas of house price index construction, housing market dynamics, hedonic modelling and the role of real estate in portfolio management. He is a professional member of the Ghana Institution of Surveyors and an Associate of the British Higher Education Academy.